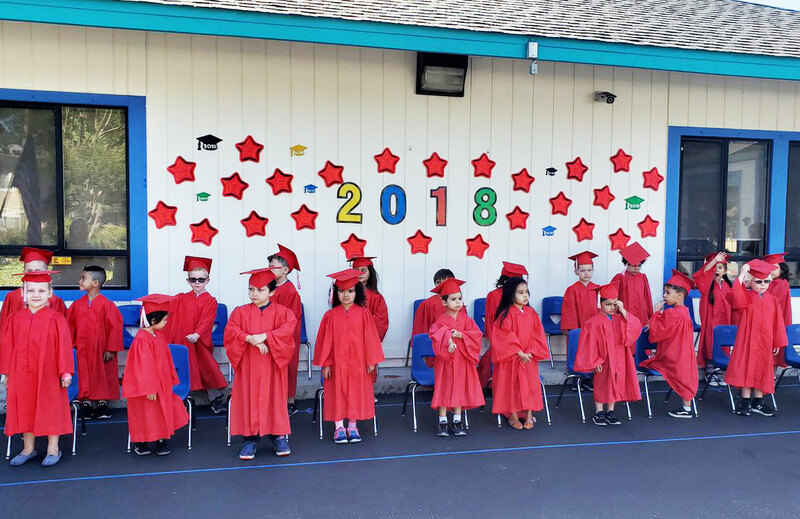 April through the remainder of the school year your child will be practicing their graduation songs and reviewing concepts taught throughout the school year. Ms. Diana and Mr. Josh will be doing the final assessments of each child. We will continue reviewing and giving extra assistance to children who need it throughout the summer. Please be sure to continue to check your child’s folder weekly. Homework will go out on Monday and still need to be returned on the following Monday. There will be no homework throughout the summer. A copy of the Graduation songs and poems that your child will be singing at graduation will go out shortly. 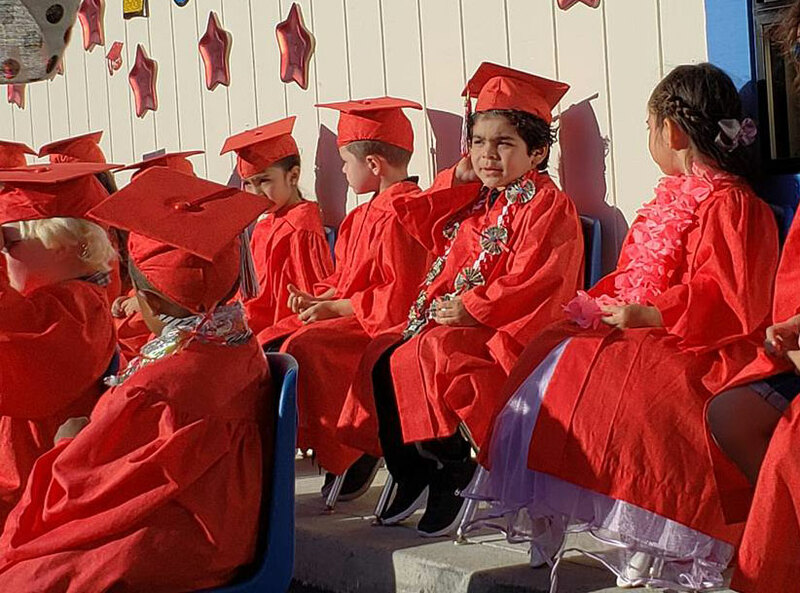 Don’t forget to please practice the graduation songs daily with your child. The more you practice the more comfortable and less nervous they will be on graduation day. 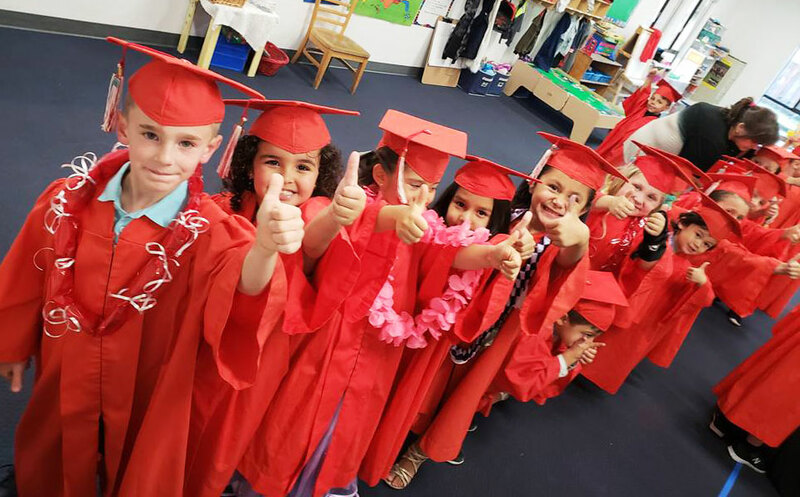 All Graduates need to be at the school by 6:15pm to put on their caps and gowns before the ceremony. Seating and Parking will be limited. Please arrive on time and be courteous to other families when saving seats. Girls: Please do not wear your hair in a high ponytail. It makes it near impossible to put on the graduation caps. Please note that your children have been told that if the cap comes off their head for any reason they are to put the cap under their chair. Please do not attempt to come up to your graduate during the ceremony to fix it. It is more of a distraction. Kinderwood Parking Lot – Seating will be limited. Please arrive on time and be courteous to other families when saving seats. Please join us for refreshments. You will take home an envelope with all your child’s school work and their actual diploma. Please note that all caps, gowns and tassels MUST be turned in to Ms. Valerie following the graduation ceremony. YOU MAY NOT take caps, gowns or tassels home.